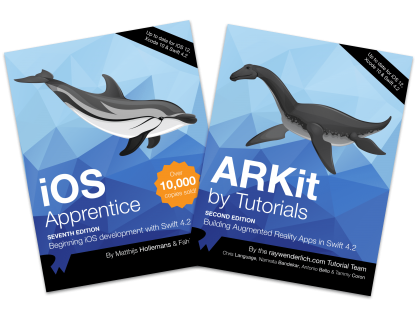 Home Resource AR/VR Week Giveaway Winners – and Sale Extended! We’ve been having a lot of fun this week showcasing all of our amazing AR/VR content of the site and we hope you’ve had the chance to get your feet wet in AR or VR — virtually, of course! 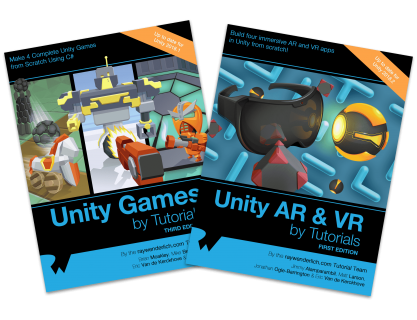 It’s time now for one of our favorite parts of any celebration: the AR/VR Starter Bundle Giveaway! Anyone who commented on the original launch post, or the Facebook or Twitter post, telling us what would you most like to build in AR or VR, and why, was automatically entered into our draw. We’ve chosen three people at random, and they’ve each won their choice of an AR/VR Starter Bundle! Congratulations! We’ll be in touch shortly to arrange delivery of your AR/VR Starter Bundle. But wait — a week isn’t long enough for a celebration like this one. We’ve decided to extend our AR/VR celebration for another week! Enjoy AR/VR Week Until April 5th! Do i need VR hardware to follow along with the projects? Are there any cheap VR developer kits? We might just be able to help a lucky person out with getting their hands on some great VR hardware…but you’ll have to come back next week to see what we have up our sleeves! We hope you enjoy another week to celebrate AR/VR week with us — and don’t forget to check back next week to see what we have in store for you!